На автосалоне в Нью-Йорке марка Cadillac представила новый купеобразный седан CT5, который заменит в линейке компании текущую модель Cadillac CTS. В марте Cadillac показал внешний облик новой модели Cadillac CT5. Седан, сделанный в купеобразной стилистике, станет преемником текущего седана Cadillac CTS. Клиентам предложат 2 двигателя и 3 комплектации. Базовым вариантом станет седан с 237-сильным 2-литровым бензиновым турбомотором. Можно выбрать автомобиль с 335-сильным 3-литровым турбированным V6. Оба двигателя сочетаются с 10-ступенчатой автоматической коробкой передач, а привод у новинки может быть как задним, так и полным. В стандартную комплектацию премиального седана входит система Adaptive Remote Start, позволяющая дистанционно устанавливать температуру в салоне, активировать обогрев или вентиляцию сидений, а также обогрев руля. Доступна и система полуавтономного вождения Super Cruise. Уже в базовой комплектации Cadillac CT5 оснащается системой предупреждения о фронтальном столкновении, автоторможении перед пешеходами, версии Premium Luxury и Sport дополнены удержанием полосы, предупреждением о столкновении при движении задним ходом. В качестве опции предложены адаптивный круиз-контроль, автопарковщик, система удержания полосы и множество других электронных ассистентов. В продажу Cadillac CT5 поступит в комплектациях Premium, Premium Luxury и Sport. Для двух топовых версиях доступен пакет Platinum Package, добавляющий особую кожаную отделку и карбоновый декор салона, а также магниевые подрулевые лепестки коробки передач. На американском рынке продажа нового седана начнётся осенью 2019 года. Стоимость новинки пока не названа. 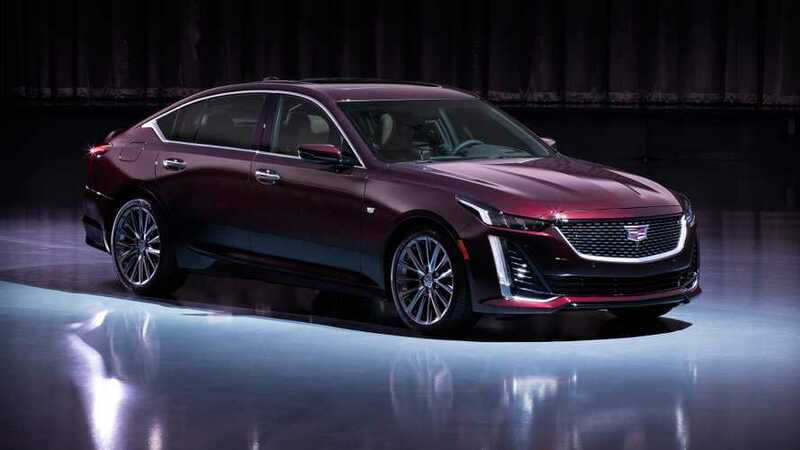 Cadillac recasts the concept of American Luxury with the global debut of the unrivaled 2020 CT5 sedan. This all-new compact sedan advances the brand’s award-winning legacy with a distinctive fusion of design, performance and comfort, supported by Cadillac’s latest technologies — including Super Cruise1, the world’s first true hands-free driver assistance feature for limited-access freeways. An all-new fastback design underscores the CT5’s refined ride, complemented with a driver-centric interior that blends high technology and high-touch elements. Luxury and Sport models allow customers to tailor the car to their style preferences with unique design and trim. Cadillac CT5’s Super Cruise technology will be available in calendar year 2020 on select models. · At launch, the model range will include Luxury, Premium Luxury and Sport, with a Platinum package available on Premium Luxury and Sport models. · A 2.0L Twin-Scroll Turbo engine is standard and Cadillac’s 3.0L Twin-Turbo V-6 is available on Premium Luxury and Sport models. Unique sound calibrations are tuned with the engines and each is paired with a 10-speed automatic transmission. · The driving dynamics build on Cadillac’s award-winning RWD architecture and include standard Driver Mode Control. AWD is available. · The latest Cadillac user experience2 with a large 10-inch-diagonal screen, as well as intuitive controls, including a rotary controller. · A host of comfort and convenience features such as standard Adaptive Remote Start, cabin air purification ionizer and available front-seat lumbar massage. · Driver awareness technologies include standard Safety Alert Seat3 and Cadillac’s latest generation available Rear Camera Mirror with zoom and tilt adjustment. · Standard driver assistance technologies include Forward Collision Alert3, Low Speed Forward Automatic Emergency Braking3 and Front Pedestrian Braking3. · Available driver assistance technologies including Advanced3 Adaptive Cruise Control, Enhanced Forward Automatic Emergency Braking3, Automatic Parking Assist with Braking3, HD Surround Vision with Recorder3, Rear Pedestrian Detection and Alert3, Reverse Automatic Braking3 and more. 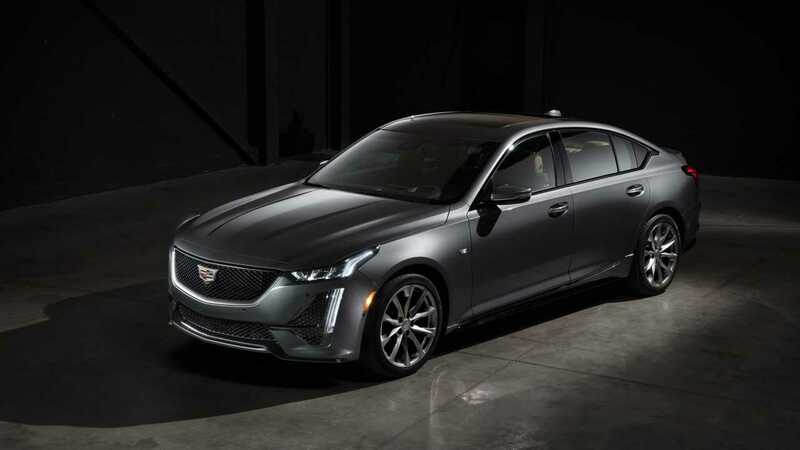 With a fastback profile inspired by the Escala concept, the first-ever CT5 charts a new direction for Cadillac sedan design that leverages the natural proportional advantage of the vehicle’s rear-drive platform to communicate power, presence and performance. A long, 116-inch wheelbase (2,947 mm) and lengthened side glass accentuate the car’s long, low proportion and sweeping fastback profile. 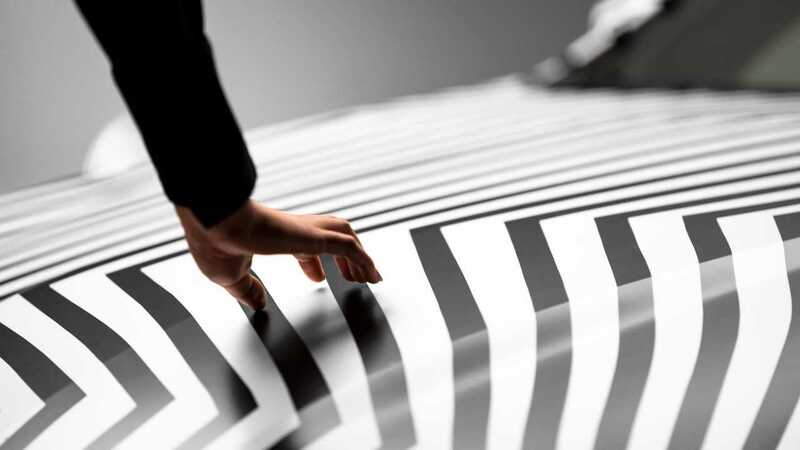 Body sculpturing, including taut character lines, contributes to the car’s strong stance and speaks to Cadillac’s legacy of craftsmanship and technology. An all-LED exterior lighting strategy features signature vertical lights at all four corners of the vehicle. Bright exterior accents and unique grilles and fascias distinguish the CT5 Luxury and Premium Luxury models, while the Sport model is differentiated by darker accents and performance-inspired details, including unique grilles, fascias, rocker extensions, spoiler and standard 19-inch wheels4. CT5’s interior features elegant, wide surface lines and simple interfaces, focusing on quality, attention to detail, authenticity of materials and impeccable craftsmanship. Everything from the instrument panel to the center display is focused on the driver and essential touch points, emphasizing control. That includes a prominent, 1080dp high-definition full-color 10-inch-diagonal touchscreen mounted high within the instrument panel for visibility. The Premium Luxury and Sport models are available with a Platinum Package featuring an exclusive Sedona/Jet Black motif with Opus semi-aniline leather seating surfaces in Sedona Sauvage. These surfaces are distinguished with a custom, layered fading perforation pattern, fine contrasting seat piping and decorative chevron accents. Both front, heated, ventilated and lumbar massage seats feature additional bolstering and 18-way adjustability. The package complements the seats with upgraded leather-trimmed armrests and center console, unique carbon fiber decorative trim and a thicker-rimmed steering wheel with authentic magnesium paddle shifters and alloy pedals. CT5 delivers thoughtful technology integration by offering an intuitive in-vehicle experience with a heightened sense of control. This is provided in everything from vehicle controls that conform to the driver’s driving style to the latest, more personal Cadillac user experience2, which provides more intuitive ways to interface with the system, including phone pairing via Near Field Communication and a new rotary controller. CT5 also features standard Adaptive Remote Start and an available hands-free power-release decklid to further customers’ convenience and comfort. Adaptive Remote Start automatically activates features such as the available adaptive heated/ventilated front seats, heated steering wheel and other climate systems, depending on the temperature. The hands-free decklid uses a motion sensor with Cadillac crest target projection that allows customers to activate the trunk release with their foot, supporting easy access. Cadillac demonstrates its commitment to technology by bringing the Super Cruise driver assistance feature to the CT5. Cadillac’s Super Cruise driver assistance feature enables customers to drive hands-free on more than 130,000 miles of limited-access freeways in the U.S. and Canada, using LiDAR map data, high-precision GPS, a state-of-the-art driver attention system and a network of camera and radar sensors. The driver attention system helps keep drivers engaged by detecting and signaling when drivers need to pay more attention to the road. CT5 is powered by a 2.0L Twin-Scroll Turbo engine and 10-speed automatic transmission with Electronic Precision Shift. This standard propulsion combination offers responsive off-the-line performance with excellent low-end torque. The twin-scroll turbocharger and a unique three-step sliding camshaft help the engine optimize performance across the rpm band for a greater feeling of on-demand power at all speeds. Cadillac’s powerful 3.0L Twin Turbo V-6 is available on Premium Luxury and Sport models, rated at an estimated 335 hp (250 kw) and 400 lb-ft of torque (542 Nm)5. Low-inertia turbochargers and a manifold-integrated liquid-to-air intercooling system help the engine produce exceptional power with virtually no lag and sustain it across most of the rpm band. Like the 2.0L Turbo, it is paired with a 10-speed automatic transmission with Electronic Precision Shift. Both engines employ technologies such as direct injection, camshaft phasing, Active Fuel Management (cylinder deactivation) and automatic stop/start to balance performance, refinement and efficiency. Sound tuning via mechanical and electronic sources contributes to CT5’s optimized effect on the senses, with engine sounds tuned to augment the driving experience in a refined manner, while helping to minimize unwanted noise in the cabin. Building on the strengths of the superb RWD architecture that underpins Cadillac’s award-winning rear-wheel-drive sedans, the first-ever CT5 is designed to deliver an exhilarating driving experience while maintaining the brand’s signature blend of performance, comfort and refinement. Evolutionary enhancements of the front and rear suspensions, including Cadillac’s signature double-pivot MacPherson-type front suspension, are designed to improve road isolation and driver feedback. At the rear, a five-link independent suspension contributes to the car’s excellent feeling of control. · Standard Bosch premium electric, rack-mounted power steering system. · Capable, confident and precise eBoost brakes. · Brembo front brakes are standard on the Sport model. · Standard ZF MVS passive dampers. · All-wheel drive is available on all models. Standard customer-selectable drive modes allow CT5 to adapt even better to driver preferences and changing road conditions. The modes — Tour, Sport, Snow/Ice and new My Mode — can alter the calibrations for transmission shifting, steering and brake feel, front/rear torque split (with the available AWD system) and vehicle sound character to customize the driving experience. CT5 can handle a variety of road conditions no matter the climate, thanks to all-wheel drive available on every model along with a diverse range of tire choices, including 19-inch all-season run-flat tires and 18-inch Michelin self-seal tires. All tire options allow drivers to continue driving during most punctures that would sideline conventional tires, for immediate replacement/repair. The 2020 CT5 makes its public debut at the New York International Auto Show April 19-28 and will be available for ordering this fall. It will be manufactured at GM’s Lansing Grand River facility, which previously received a $211 million investment to build the next-generation Cadillac sedans. Pricing and additional information will be announced closer to the start of production. FOR MORE INFORMATION, please contact Tara Kuhnen at 313.530.1143 or email tara.kuhnen@cadillac.com. 2Cadillac Infotainment System functionality varies by model. Full functionality requires compatible Bluetooth and smartphone, and USB connectivity for some devices. 3Safety or driver assistance features are no substitute for the driver’s responsibility to operate the vehicle in a safe manner. The driver should remain attentive to traffic, surroundings and road conditions at all times. Visibility, weather and road conditions may affect feature performance. Read the vehicle’s owner’s manual for more important safety limitations and information. 4Lower profile tires wear faster. Wheel and tire damage may occur on rough or damaged road or from surfaces or from curbs, debris or obstacles. This damage is not covered by the GM New Vehicle Limited Warranty. For more details, go to my.cadillac.com/learn/tires/ or see your dealer. 5Cadillac estimated. Horsepower and torque pending SAE certification. ^Cargo and load capacity limited by weight and distribution. ±Before you buy a vehicle or use it for trailering, carefully review the Trailering section of the Owner’s Manual. Two years of OnStar Safety & Security coverage1 and limited Cadillac connected services trial1, plus 3 months or 3GB of 4G LTE data (whichever comes first)6. 1Cadillac Infotainment System functionality varies by model. Full functionality requires compatible Bluetooth and smartphone, and USB connectivity for some devices. 2Map coverage available in the U.S., Puerto Rico and Canada. 3Requires active connected services or OnStar plan. Services are subject to user terms and limitations and vary by vehicle model. Visit onstar.com for details. Availability subject to change. 4The system wirelessly charges one Qi-compatible mobile device. Some phones have built-in wireless charging technology and others require a special adaptor/back cover. To check for phone or other device compatibility, see my.cadillac.com/learn or consult your carrier. 6 Connected services include 2 years of navigation services and 6 months of Remote Access Plan. Data plans offered by AT&T. Services subject to user terms and limitations. Certain services require working electrical system, cell reception and GPS signal. OnStar links to emergency services. See onstar.com for details and limitations. Availability subject to change. 7Vehicle user interface is a product of Apple and its terms and privacy statements apply. Requires compatible iPhone and data plan rates apply. Apple CarPlay is a trademark of Apple Inc. Siri, iPhone and iTunes are trademarks for Apple Inc, registered in the U.S. and other countries. 8Vehicle user interface is a product of Google and its terms and privacy statements apply. Requires the Android Auto app on Google Play and an Android compatible smartphone running Android™ 5.0 Lollipop or higher. Data plan rates apply. Android Auto is a trademark of Google LLC. ^Safety or driver assistance features are no substitute for the driver’s responsibility to operate the vehicle in a safe manner. The driver should remain attentive to traffic, surroundings and road conditions at all times. Visibility, weather and road conditions may affect feature performance. Read the vehicle’s owner’s manual for more important safety limitations and information.